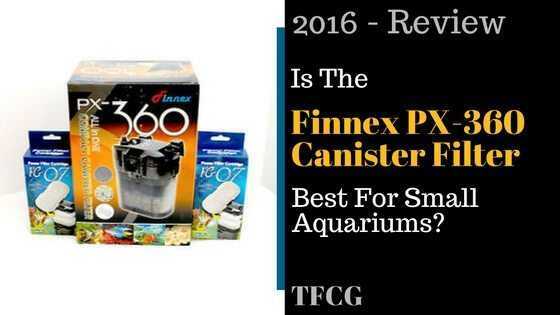 Finnex PX-360 Review The Best Filter For Small Aquariums In 2019? 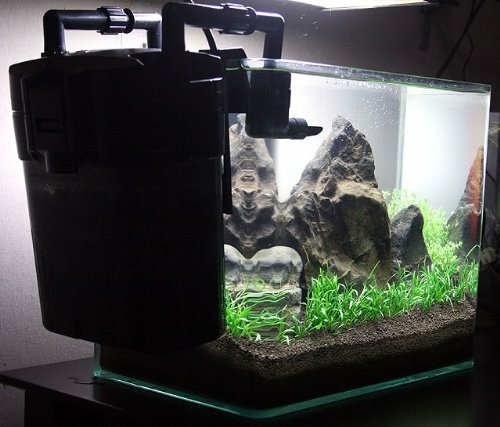 If you have a smaller aquarium it can be tough to find a good canister filter for your tank. Many owners of small aquariums stick with hang-on-back filters, but you do have options if you want the many advantages that come with canister filters. The Finnex PX-360 Compact Canister Filter is a small and versatile filter that is ideal for smaller tanks under 25 gallons. It can be configured to function as an HOB filter, or you can set it up like a canister filter and stow it away nearby. Check out our Finnex PX-360 review to find out if this filter is the right choice for your aquarium. 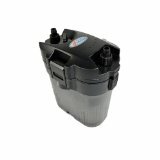 Compact and versatile filter that is ideal for smaller tanks under 25 gallons. Can be configured to function as an HOB filter or you can set it up like a canister filter. High build quality and whisper-quiet operation. Can be configured as a canister or HOB filter. Comes with both a spray bar and a spray nozzle. Awesome water flow for smaller tanks. The Finnex PX-360 is all about options. If you have a smaller aquarium, this filter will give you the option to install a canister filter rather than being stuck with an HOB system. It is a canister filter, but it comes with brackets so you can hang it on the back, or you can stow it away like a typical canister. The PX-360 also gives you the option to use the included spray bar to distribute your water flow across the tank, or a spray nozzle if you want a stronger flow. With a 95 gph flow rate, this thing has very strong water flow for small tanks. The Finnex is rated for tanks up to 25 gallons, but it’s especially great for much smaller tanks where canister filters typically aren’t an option. This filter has two stackable media trays that come jam packed with included filtration media, including an optional sponge strainer. Like all canister filters, you also have the option to use your own choice of filtration media. Considering the lower cost of this unit, the build quality is very impressive and all the materials feel solid. It also includes many features and accessories typically found on more expensive filters, like a spray bar and optional sponge strainer. Setup is simple, especially if you’ve put together a canister filter before, and the instructions are actually fairly detailed and straightforward. Plus, Finnex produced this helpful video if you’re having trouble putting it together. Finnex only includes 90-degree connectors in the box, which definitely restricts where you can place your hoses. This isn’t a huge issue if you are using the spray bar, but if you are using the spray nozzle you won’t have as much freedom in where you place it. This filter is self-priming, but you do need to fill it with water before turning it on. When it’s running it’s insanely quiet. The only thing that tells you it’s on is the impressive amount of water flow coming out of the spray bar. One issue we encountered with this filter is that the outlet hoses have a tendency to randomly disconnect unless the elbow connectors are kept perfectly level. This shouldn’t be a huge issue if you set it up properly, but it does have the potential to disconnect and spray water everywhere if it gets knocked out of alignment. Despite our quibbles with the hose connectors, this is a great filter. It powers through smaller tanks and keeps the water crystal clear. Overall this filter’s quality, water flow, and ease-of-use are tough to beat. While playing around with the Finnex PX-360 Canister Filter , we were very impressed with its quality, versatility and awesome water flow. We like that you have the choice to hang it on the back of your tank or stow it away, but we think its relatively large size makes stowing it the better option. If you have a small aquarium the Finnex PX-360 is an easy choice. It’s really the only high-quality canister filter that will work with tanks under 20 gallons, and even down to 2-5 gallon tanks, and it has many features that you typically find only in much more expensive models.